If you're only just trying to tune into Super Bowl LIII but don't really know where to start, then you've come to the right advice guide. It's all still to play for between the New England Patriots and Los Angeles Rams as we enter the second half. Discover how to watch free from cost and commercials – regardless of where you live. So if you've been wondering how to get a 2019 Super Bowl live stream then wonder no longer. Super Bowl LIII sees the Patriots and Rams go head-to-head to take home the Vince Lombardi trophy. The Patriots are well used to this by now – it's their third Super Bowl in a row and a win here will bring them level with the Steelers as the most successful team in NFL history. Tom Brady - arguably the finest quarterback ever to play the game - will be pulling the strings and desperate to cement his legend even further. The 2019 Super Bowl sees the New England Patriots and LA Rams face off at the new, shiny Mercedes-Benz Stadium in Atlanta, Georgia. Kick off is scheduled for 6.30pm local time near the East coast of the US. That's 11.30pm GMT, 3.30pm PT or 10.30am AEDT in Australia on Monday morning. Trying to stop Brady and the Pats are the LA Rams. A fantastic regular season culminated in a controversial overtime victory against the Saints in the NFC conference championship game. The franchise's only previous Super Bowl win came almost 20 years ago. Between the likes of QB Jared Goff, C.J. Anderson and Brandin Cooks, they'll be looking to upset the odds and get the win in Atlanta on Sunday. 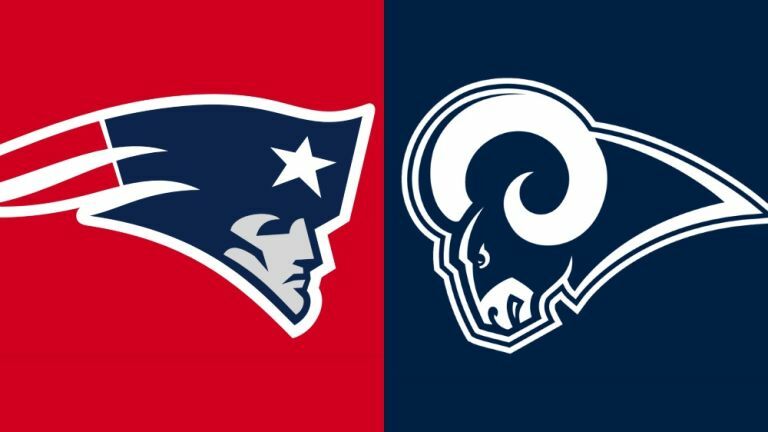 Keep reading to discover how to live stream the Patriots vs Rams Super Bowl LIII no matter where in the world you are. Below we’ll tell you exactly how to watch on your TV, mobile device and it doesn't have to cost you a thing. What's more, our little trick means you don't even have to put up with any adverts, if they're something that get you annoyed when watching the NFL. Maybe you're one of those people who thinks that catching the brand new commercials and trailers from the likes of Coca-Cola, Apple, Budweiser and Netflix are all part of the Super Bowl fun. But if your interest starts and ends with the game itself (and maybe the halftime show at a stretch) then you can watch without interruption to the coverage. A VPN – or Virtual Private Network – allows you to fool your laptop, desktop, mobile device or streaming box into thinking it's somewhere else. That's by networking to a secure server in another city or country. Handy for getting around blocked sites in certain countries, watching foreign Netflix and, you guessed it, getting a Super Bowl live stream - you can see our list of best VPN services here. We rate ExpressVPN as the absolute best. As well as having iOS and Android apps, you can also get it to work with the likes of your PS4, Xbox, Amazon Fire TV Stick or Apple TV. And it's not just about flexibility; Express flew through our speed, security and ease-of-use testing, too. Check out ExpressVPN now and you also get the benefit of a 30-day money back guarantee to make sure that you like it. And if you sign up for a full annual plan, T3 readers will also get 3 months FREE! Simply open the VPN app, hit 'choose location' and select the appropriate location - it's super easy to do. If in any doubt, just head straight to a server in the UK. We really rate TVPlayer.com. It's a robust, reliable streaming service with all of the UK's freeview channels in one place. So that includes, of course, BBC One. Head over to TVPlayer.com from 10.45pm GMT / 5.45pm ET / 2.45pm PT / 9.45am AEDT to watch the build up and then the game free from ad breaks. Want to record the game and catch it in your spare time? TVPlayer Plus carries a £6.99 monthly fee but lets you 'record' up to 10 hours of TV to watch at your leisure. And you can take advantage of its 14-day free trial, too. Where else has a 2019 Super Bowl live stream? It may be called American football, but the Super Bowl has evolved into a truly global sporting event. One look at the NFL's 'Foreign Language Broadcasts' and you'll get an idea of the far corners of the globe NFL fandom reaches. If you're unsure of who's showing your localised coverage and aren't bothered about trying to avoid those commercials with a VPN, then we can tell you who else is broadcasting the Super Bowl in your corner of the world. It's CBS's turn to show the 2019 Super Bowl on TV (pre-build, anthem, game, halftime show, commercials – the lot) in the States, so that also means streaming via CBS All Access, CBSSports.com, and on the CBS Sports app for phones, tablets and selected TV streamers including Roku, Amazon Fire TV, Apple TV and Chromecast. If you want to see the Super Bowl in exactly the same way as they do south of the border (ads and all), then simply watch on CBS as explained above. Otherwise you're looking at CTV and TSN for the local coverage of the game, assuming of course that you have a cable subscription. If you're Down Under, there are several different ways you can catch the championship game. Channel 7 is the official free-to-air broadcaster, which means that you can also watch online. ESPN will also be showing it if you have that or Foxtel Sport and prefer its coverage. And if you already have an NFL Game Pass, then that's another route to watch. The NFL website is listing ESPN as the place to watch in New Zealand. So if you have ESPN and have already been enjoying its coverage during the 2018 NFL season, then this is the place to watch.